Ever wonder what your therapist reads? Well you are about to find out. I have gathered therapists from all over the world to share what they are reading this month with you. There are a lot of great books out there and we are here to share them with you. I am re-reading Sacred Influence by Gary Thomas. This book helped me to change the wife that I am to my husband. Our marriage was strengthened based on applications from this book. Gary Thomas helps the reader to understand how the male mind works and ways women can encourage and influence their spouse. I have used pieces of this book in my practice and appreciate the practical applications presented in the book. Shana Verdine, LCSW specializes in addiction, co-dependency, couples and Christian Counseling. You can connect with Shana Verdine, LCSW here. I’m reading “Mindful Compassion” by Paul Gilbert and Choden and geeking out on the blending together evolutionary and Buddhist psychology, think of it as the neuroscience behind mindfulness! Through human evolution our brains have become extraordinarily complex, but aren’t so well put together. Gilbert and Choden teach that compassion begins with noticing our brain’s wonderfully complex, tricky and troublesome conflicting motivations. Through our understanding of how our minds have evolved we gain insight into the powerfully irrational forces that both guide our lives and cause us suffering. And how we can avoid getting lost in the chaos of our drives. It’s about mindfully noticing our motivations and choosing which to explore and which to be cautious of. “Living Beautifully with Uncertainty and Change” reminds us that the only certain is change and that we tend to desperately try to hold on to things or people or ways of thinking. The key this book teaches is accepting that this will never happen and that the only way to really cope is to become comfortable with the uncomfortable. Very eye opening me and I recommend it to clients and friends alike. I’m reading Feel the Fear and Do it Anyway for my #mhbookclub on Twitter. It’s a look at how recognising your thought patterns and how they hold you back from doing things can and help you to move forward in your life. It also looks at how positive thinking and affirmations can help to improve your self esteem. I am currently reading Facing Codependence. Codependency by Pia Mellody is a term that many therapist and clients hear about, but it’s often unclear what traits actually are considered to be codependent. This book is a great resources that discusses traits that are associated with codependency, the origins of such traits and steps that people can take to cope. I’m reading Brainstorm by Dan Siegel, after hearing him speak at the Evolution of Psychotherapy Conference last year I finally purchased the audio book and am working my way through it. I know the main point and I’m excited to use it, but the science part of it doesn’t keep my interest. I have already started to incorporate some of the themes into my work with teens … as well as their parents … and, I’m especially enjoying the new perspective that what is going on in my own 16 year old’s brain is actually necessary for her benefit … as well as the benefit of the ENTIRE species! Gotta love teenagers. I became interested in reading this book after learning about Kristin Neff’s and Christopher Germer’s work on Mindful Self Compassion. This book provides instruction on incorporating self compassion into one’s meditation practice. It’s a great book! 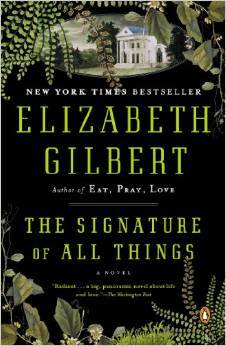 An intriguing story of the evolution of a woman as told through the eyes of an evolutionist. You cannot help but feel along side of her as you watch her combine her understanding of her family of origin and her own unique strengths in efforts to understand and adapt drastic changes in her own physical and emotional. It is an epic story, a journey of a woman. In the book, The Gifts of Imperfection Brene Brown talks about “wholehearted” living. Something I am trying to work on for myself. We often set up expectations for ourselves and others. Learning to let go of those expectations and embrace who you really are is important. Brene Brown offers guided posts at the end of her book that I often recommend. 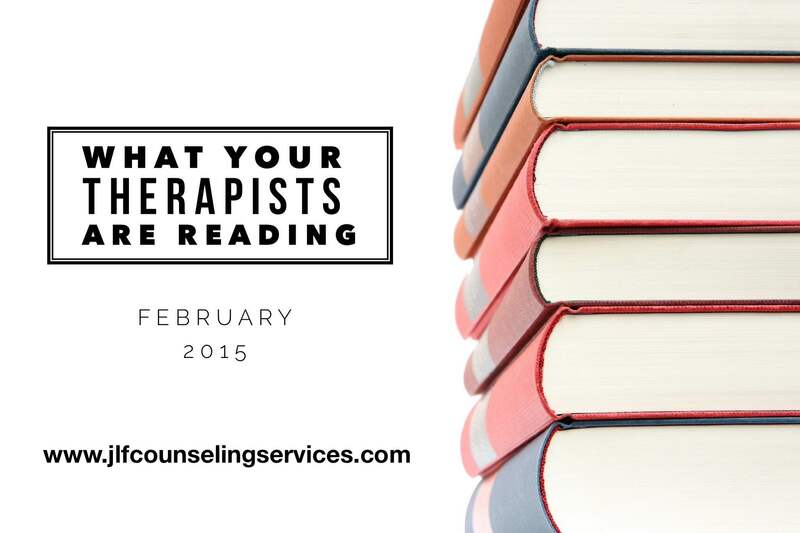 Thank you for taking the time to read what your therapists are reading for February, 2015. We hope that you have found it helpful and will be picking up some new books. Did you miss last months? No worries, we just started this series, so you are only behind 1 month and you can check out January 2015. Are you a therapist and want to share what you are reading? Well we are doing this every month os email me at jlfcounselingservices (@) gmail (dot) com. What a great list of books!! Thanks for putting this together! Thank you for letting me be part of this great post! I’ve also added a few great reads to my list! No problem. I love doing this. It is such a great way to find more books to read! So many good ones…love all things related to mindfulness and Brene Brown and thanks for posting as I needed a good recommendation for Codependency other than Alanon books and Boundaries! Thanks you. Such a good list and really fun to see what my colleagues are reading!